You've seen our Golden 21st Birthday Tiara Headband Novelty 21st Party Gift but now XS Accessories introduces our Golden 18th Birthday Tiara Headband Novelty 18th Party Gift for Women -- you won't find this baby anywhere else! 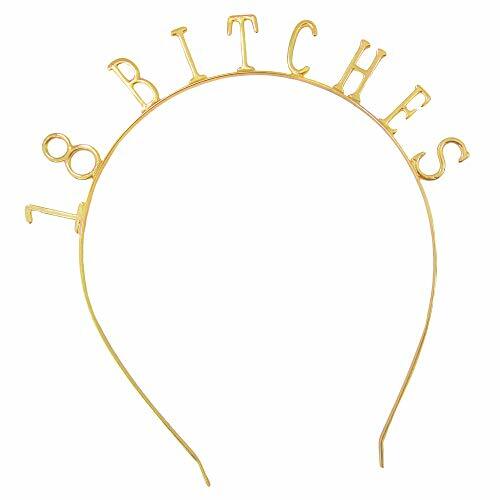 cute headband resembles a tiara and reads "18 b*tches"
If you have any questions about this product by XS Accessories, contact us by completing and submitting the form below. If you are looking for a specif part number, please include it with your message.